Partners. Food. Hope in Haiti. 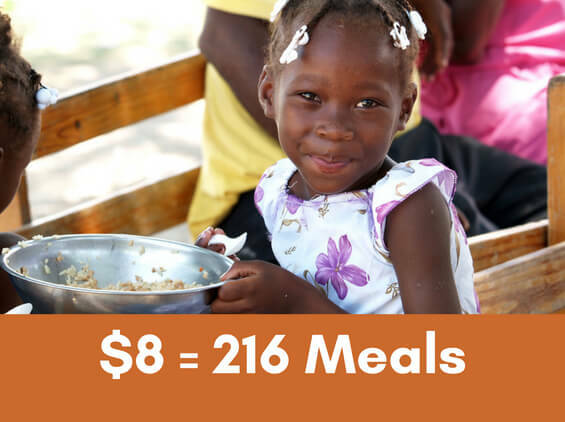 The goal of our hunger relief feeding program in Haiti is to provide nutrient-rich food to prevent illnesses, rehabilitate children from malnutrition, and offer hope in the name of Jesus Christ. When natural disasters occur, we assemble food kits and supplies to respond to disasters. Love A Child (LAC) missionaries travel deep inside Haiti (to what we refer to as the “regions beyond”) taking food and water to some of the most remote villages on the island. 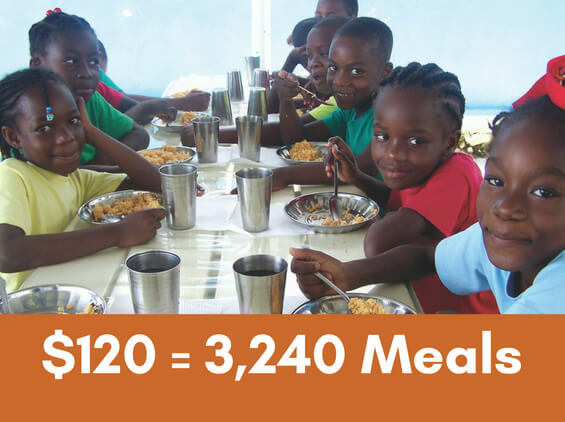 Children in our 18 Love A Child Schools receive a hot meal every day–that’s food for more than 8,000 children daily! For many of our students, it’s the only meal they will eat that day. 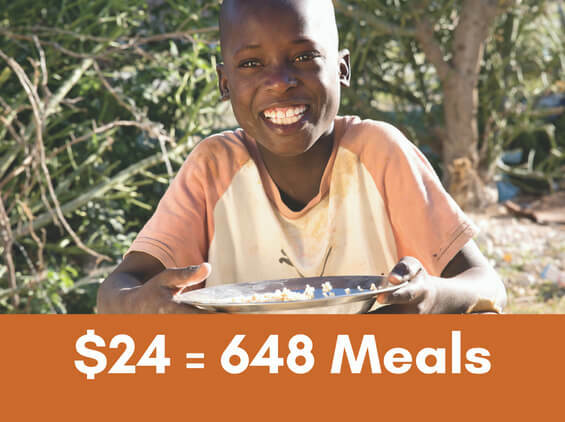 Beyond filling their bellies, these nutritious meals fuel their developing minds and bodies giving them a chance of reaching their full potential. Please prayerfully consider becoming a partner. Your support will save a life! 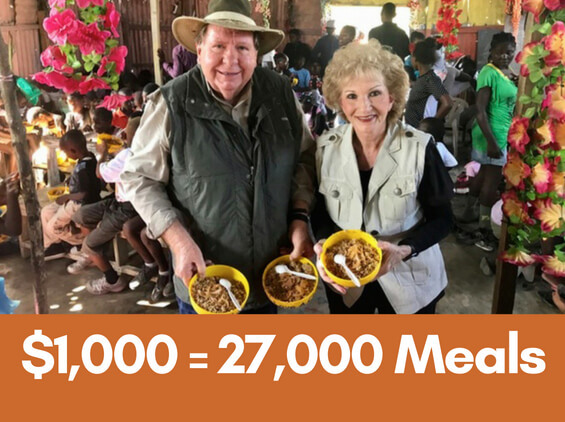 Watch how Love A Child’s Feeding Programs save lives and share God’s love with those in need in Haiti through the video below. To learn more about how we coordinate our efforts to distribute food, please click through to read more about our Kingdom Connection Food Distribution Center.